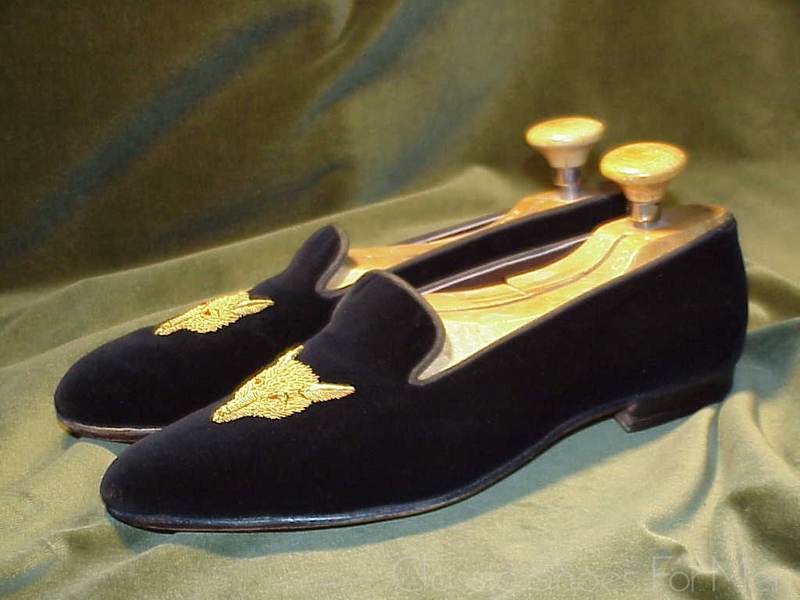 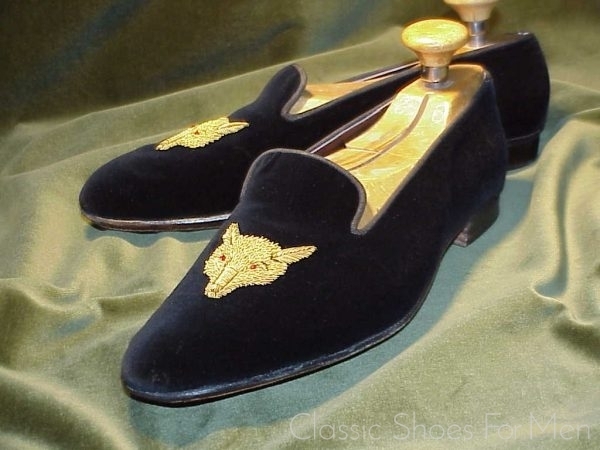 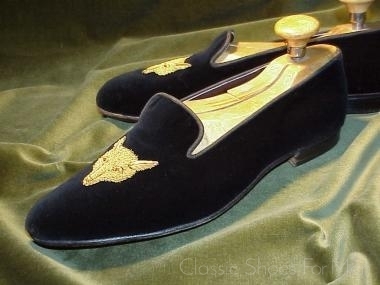 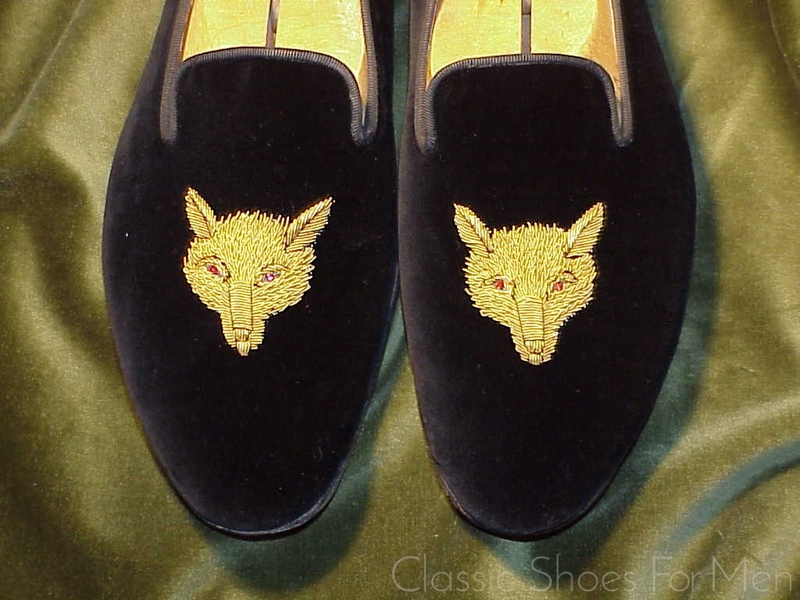 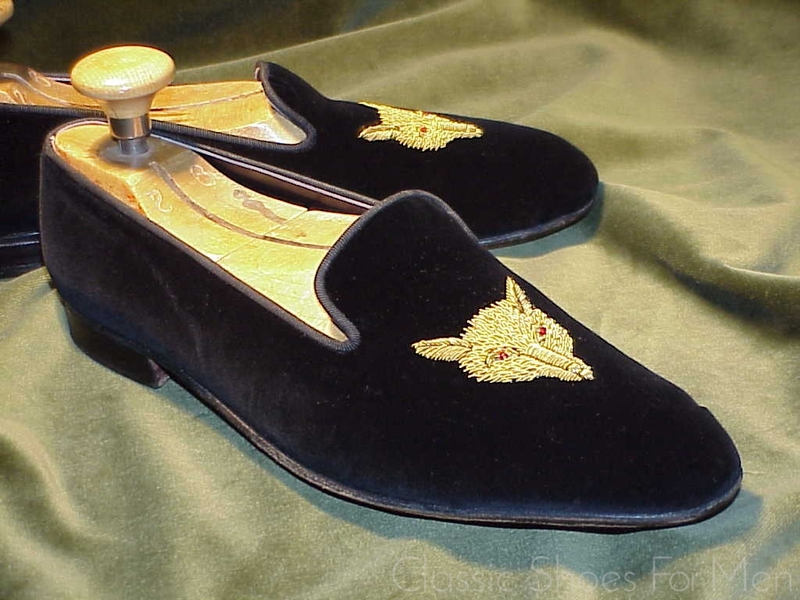 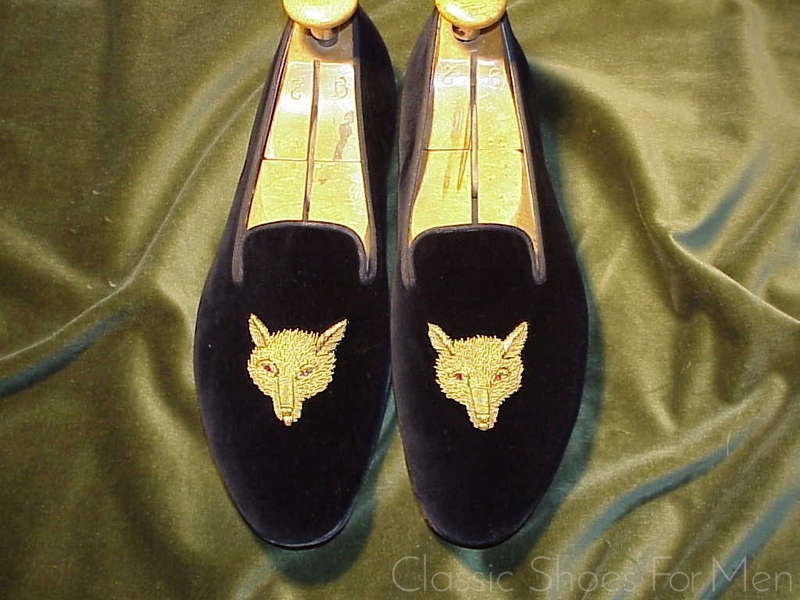 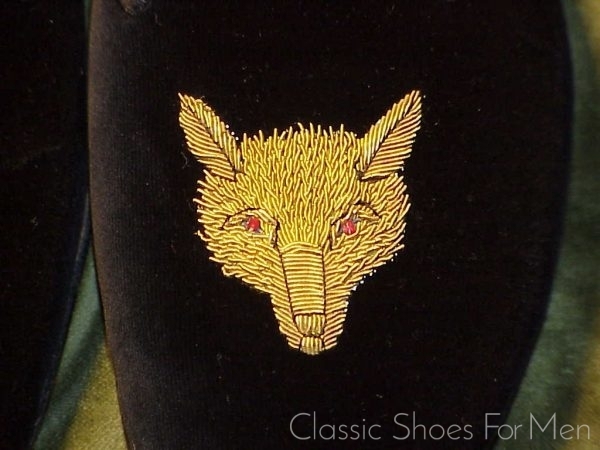 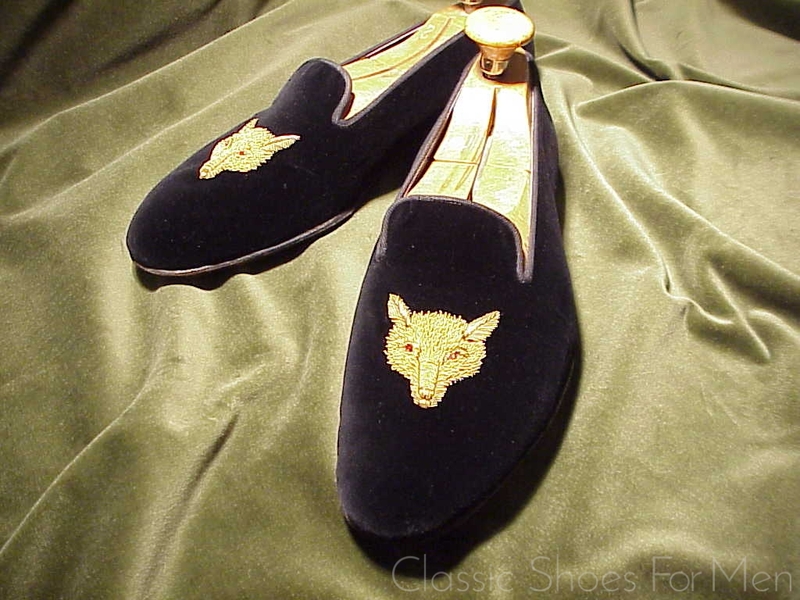 How very similar these are at first glance to Brooks Brothers/Peal & Co. Fox Head Slippers. 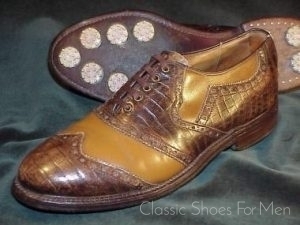 On closer inspection of the formed and sculpted sole however, one realizes that these are superior custom made shoes. 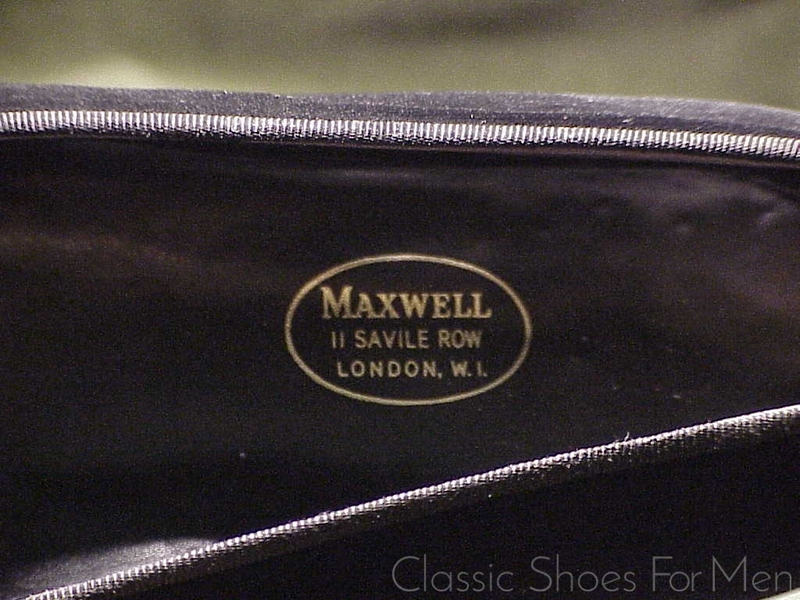 Henry Maxwell, of course, is one of England preeminent shoemakers. 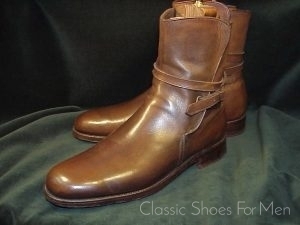 Founded in 1750 they are, indeed, the oldest remaining bootmakers in London. Originally a famous spur-maker Maxwell thrived on the ubiquitous use of the horse for battle, ceremony, hunting, sport and personal transport, and soon supplied boots for cavalry regiments, hunting, polo etc. By the mid 19th century Maxwell was awarded the first of its many Royal Warrants by King George IV., and by the early 20th century Maxwell had grown to supply boots, shoes and a wide range of riding and hunting accessories from shops in London and Paris. 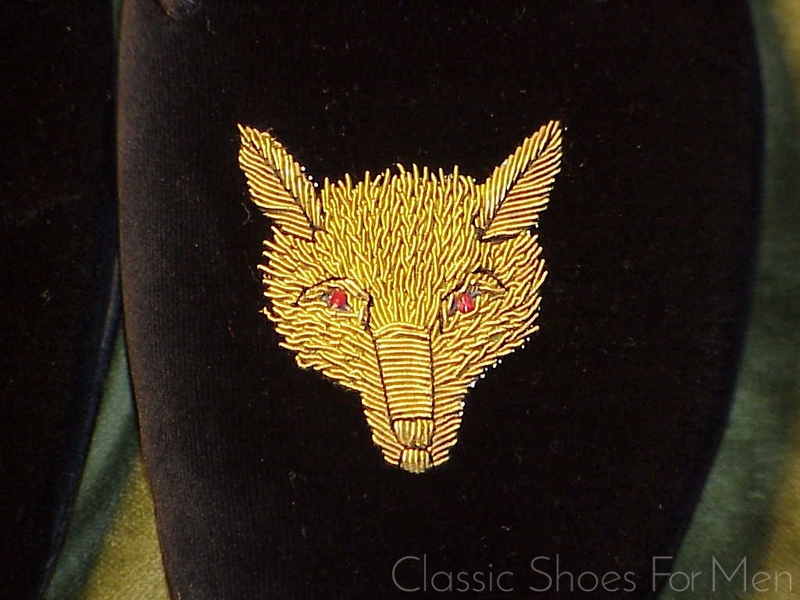 With its sister company Foster & Sons it trades today at 83 Jermyn Street opposite Fortnums. Maxwell can invest as much as 100 hours in a pair of boot or shoes. They take measurements in their shop or by arrangement at your home or office in London. 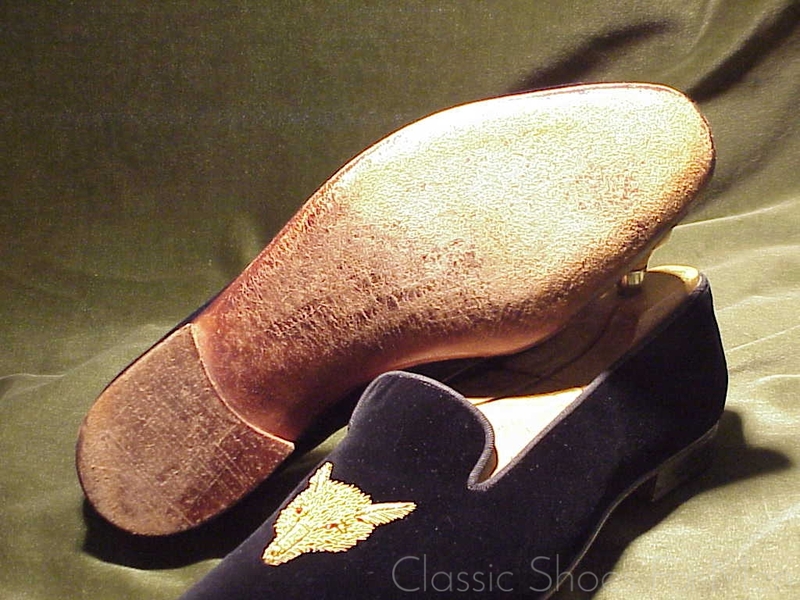 The cost; £1,870 for shoes, £3600 and £250 for the specially made wooden trees. 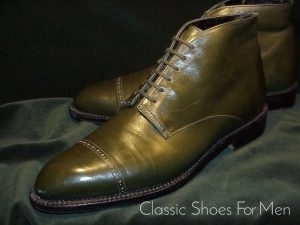 Ref:http://www.bownsbespoke.com/henrymaxwellshoes.htm Delivery in about 8 months. 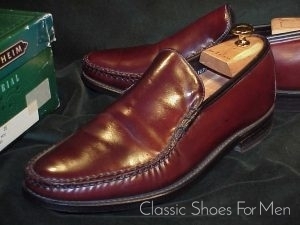 Custom made but by my precise measurements: US 8.5D-9C…….UK 7.5E-8D……Continental 41.5D-42C. 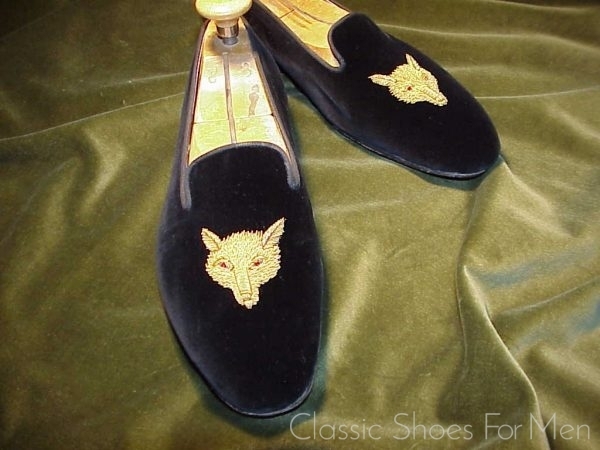 These are, as can be seen in the photos, like new.